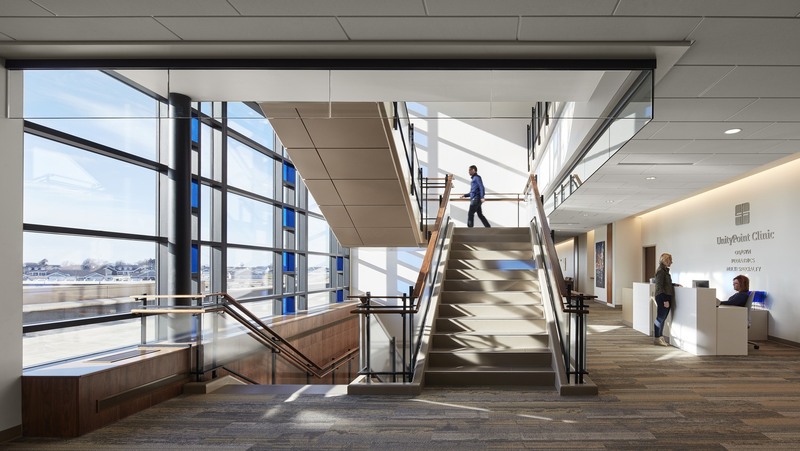 Prairie Parkway Ambulatory Care Center transforms a large program into an intimately scaled, community-focused medical office building on a 20-acre mixed-use site outside Waterloo, Iowa. 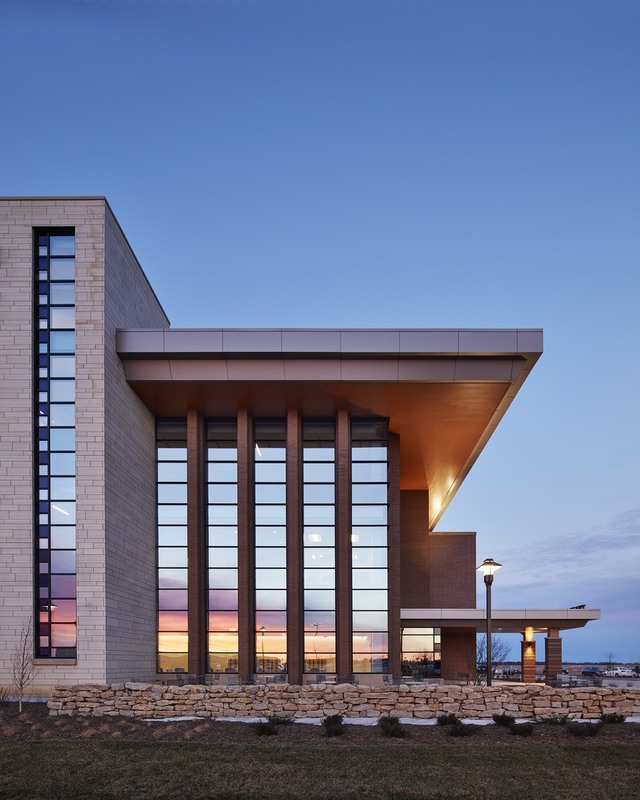 The building offers a full range of outpatient preventive health services within a familiar prairie-style aesthetic that reflects local architectural forms and materials. 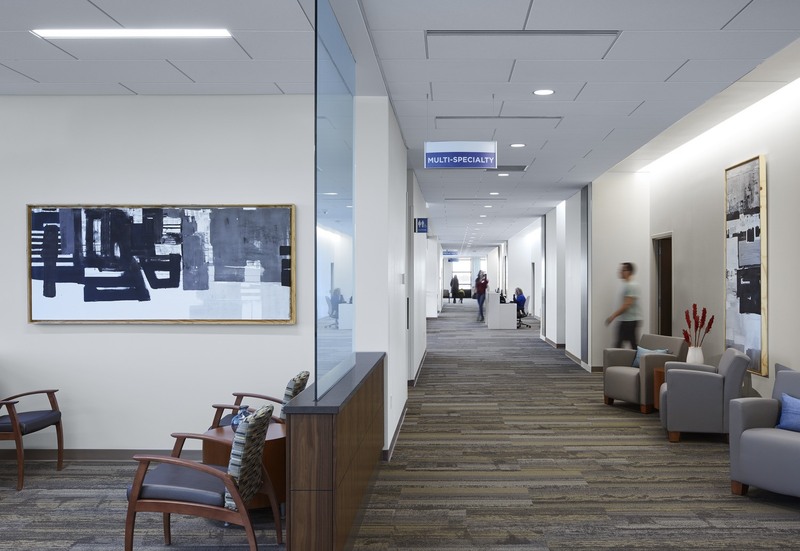 The site doubles as a community space for wellness and preventive care, featuring both public and staff landscaped patios, gardens, and walking paths. 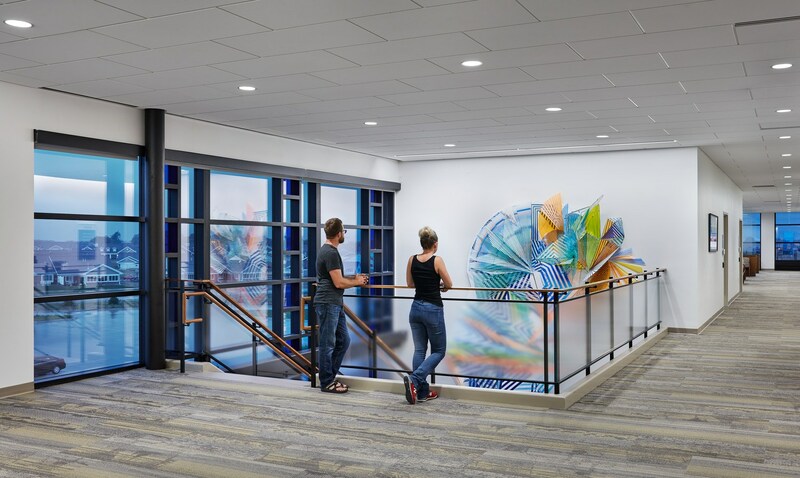 These outdoor amenities encourage users to physically interact with the site, immersing themselves in the soothing benefits of nature.